We have for sale a beautiful litter of golden retriever puppies. 5 girls and 3 boys . Both mum and dad are our family pets and are both kc registered. Puppies will be kc reg wormed up to date and have had their first vaccination. Puppies are well socialized with our children. 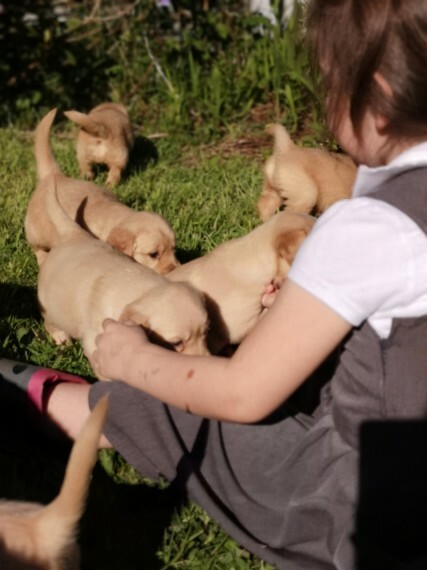 Puppies will be ready to leave on the 6th June . A 200 non refundable deposit will secure the puppy of your choice.